Tassels were very in trend during the 1920s, and I have since seen them go in and out of trend. Recently, I am pleased to say that I’ve seen tassels in quite a few other places. From along the arm of leather jackets to tiny ones on shoes, people have been obsessed with this new fad. Actually, I am really liking this trend too, and I hope it sticks. I think tassels add such a fun flair to any outfit, and I love the feeling of moving around in them. I recently jumped on this trend and got this gorgeous green, tasseled skirt from Shein. This skirt retails for $26 and is the perfect option if you want to jump on the tasseled trend for an affordable price. The color is also absolutely gorgeous! You guys know that I am a huge fan of taking vintage trends and giving them a modern spin, so creating this look was super fun! I was definitely feeling some 1920s vibes, and I can’t wait to create more 1920s inspired looks with tassels! What do you guys think? Is this new trend going to catch on and stay longer, or do you think it will just be a short fad? Let me know in the comments down below! 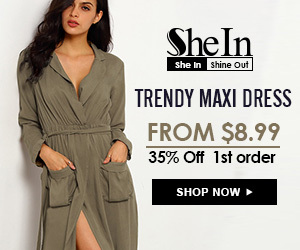 Disclaimer: This blog post is not sponsored but does include products sent complimentary to review (Shein). All opinions are my own. I think they are here to stay awhile and I hope they do! I have been loving them, ESPECIALLY tassel accessories like earrings! I think so too! Sooo cute! Thanks love! I love it too! Will do!